The first species that comes to mind in the context of insects and genetics is Drosophila melanogaster, the most commonly used insect model. However, in many cases the fly is not such an ideal model after all – in fact, some biological phenomena cannot be investigated using it at all. For this reason, researchers at FAU and the universities of Göttingen and Cologne have turned their attention to the red flour beetle. The have now analysed more than 5300 of its genes, making their investigation of the role of DNA the largest of its kind for a single beetle. During their analysis the researchers also discovered some previously unknown genes that could provide important information for fields such as developmental biology, entomology and medicine. The researchers recently published their findings in the journal Nature Communications*. When geneticists want to know how genes control certain aspects of development, behaviour and other processes in insects they examine Drosophila melanogaster. The fly is probably the best researched animal to date and a large proportion of what is known about insect genes in general comes from this research. However, the fly is often not a typical example of genetic phenomena in insects. 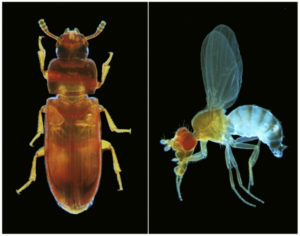 ‘Many processes that can’t be investigated using flies have been ignored in genetics for this reason,’ explains Prof. Dr. Gregor Bucher from the University of Göttingen, speaker of the DFG research unit iBeetle. ‘But in the insect world there are many fascinating processes that do not occur in the ffly. With our project, iBeetle, we are laying the foundations for some of these to finally be examined genetically. In doing so we are creating a broader basis for genetic research.’ There are several reasons why the red flour beetle, Tribolium castaneum, is a suitable model organism that can be used in addition to the fly. Genetic mechanisms in the beetle can be transferred not only to other insects but also partially to vertebrates. The researchers also discovered several genes that have not been studied before that could have applications in medicine and now intend to examine these further. For example, integrins are responsible for cell adhesion and are involved in a range of skin diseases in humans, including cancer. ‘We have discovered several additional genes that apparently work with the integrins in cell adhesion. 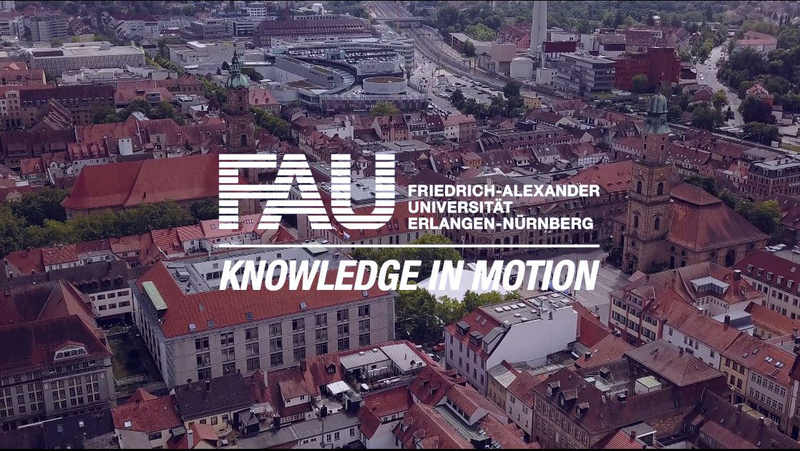 Despite all the investigations using flies these genes had been overlooked until now and they can now be studied in more detail,’ explains project co-ordinator Prof. Manfred Frasch, Division of Developmental Biology at FAU. They also identified new genes that are of significance for stem cell biology. Stem cells are involved in the formation and development of many tissues and special types of cells in organisms. ‘The findings from the beetle will improve our overall understanding of stem cells,’ summarises biologist Dr. Michael Schoppmeier, who is also a project co-ordinator for the Erlangen-based research group. The DFG research unit ‘iBeetle: functional genomics of insect embryogenesis and metamorphosis’ was set up in 2010 and has had its funding extended to 2016 by the German Research Foundation (DFG). Its researchers have investigated more than 5300 of the beetle’s 16,000 genes so far and are currently analysing a further 4000. The red flour beetle is a significant pest, as it eats flour and therefore causes considerable losses to harvests all over the world every year. The researchers hope that their findings will contribute to effective pest control for these beetles that can also be applied to other pests. The project is part of an important new development in genetics. The role of genes is no longer being investigated exclusively in classic model organisms such as Drosophila melanogaster but is now being studied in more and more animals. The researchers used a technique known as RNA interference to deactivate genes, the discovery of which was awarded the Nobel Prize in Physiology or Medicine in 2006. Further information about the project is available from the University of Göttingen.